For as long as I can remember I have always been in love with going to the Cinema. When I was younger in a way this was my Virtual Reality. Going to see a movie was a way to escape my daily routine and loose myself in incredible new worlds and immersive stories. 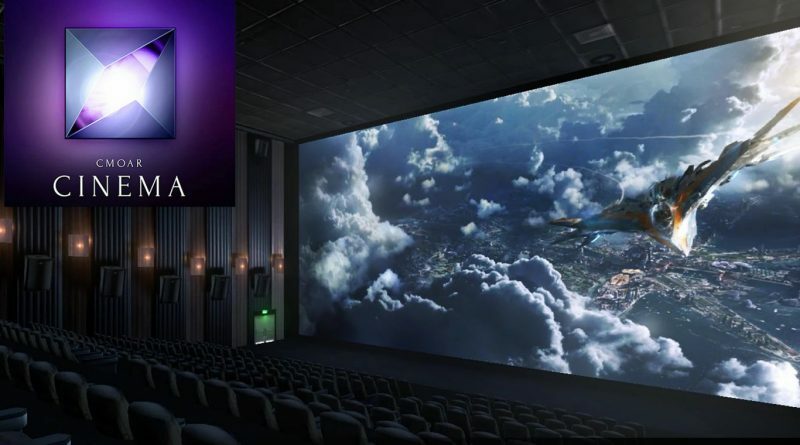 Over the years though, the cinema experience lost some of its appeal as newer technologies came about like large screen TV’s and thunderous home theater sound systems. It was however still not the same as having the experience of finding my favorite seat and engrossing myself in the action on a huge screen. Flash forward several years and thanks to Virtual Reality this was now possible from the comfort of my couch. VR cinemas were always one of the selling points of getting an HMD for me. No longer would I have to fight the crowds or be annoyed by the talking of children or the random movie goer kicking the back of my chair. During the early days of VR there seemed to be several choices for having a VR cinema experience. Some of my earliest moments of true presence were in the now retired RiftMax theater. 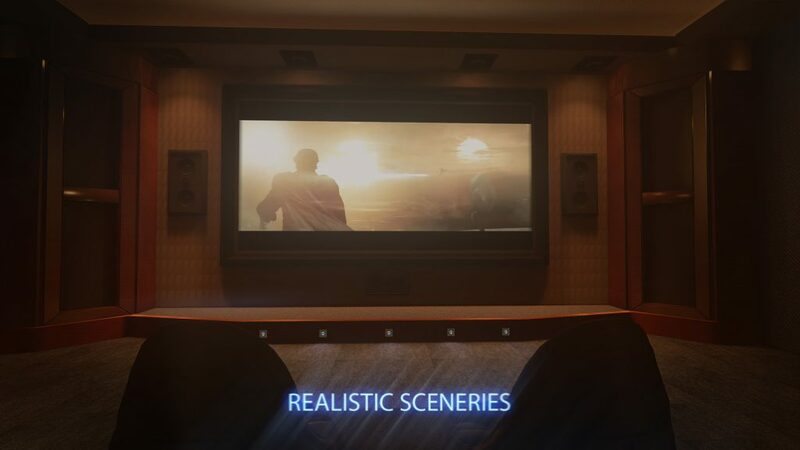 As the years went on, I saw more VR theater going experience released but none of them really seemed to capture the magic of those original apps. Recently Cmoar VR Cinema was launched on Steam. This is an app I have watched grow from the early days of it’s Kickstarter campaign to becoming one of the highest rated VR Theater choices for the Google Cardboard. 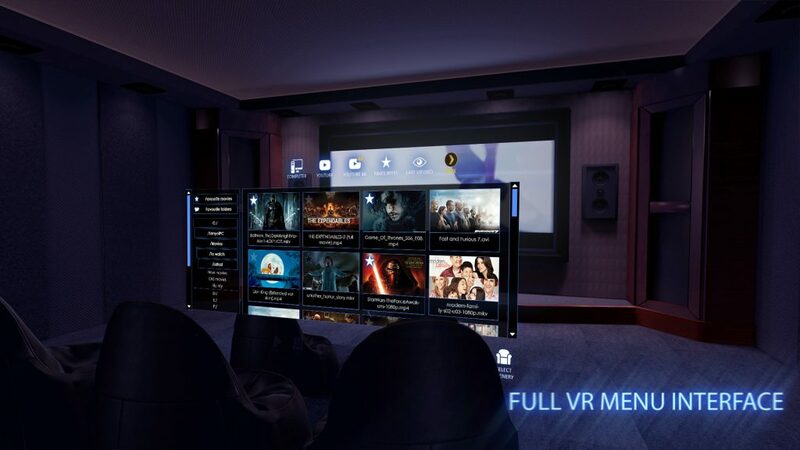 After a very good run on the Cardbaord platform, the developers of Cmoar VR Cinema have now also made it available for PC based VR headsets such as the Oculus Rift and HTC Vive. 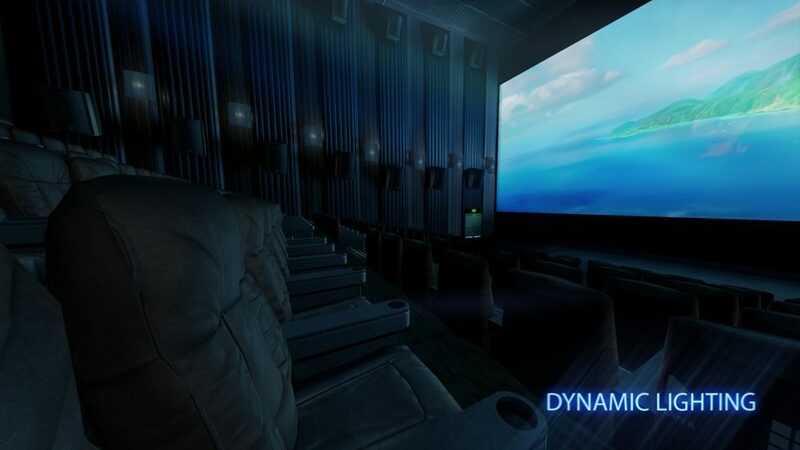 At first glance it seems similar to most of the other VR cinema apps out right now but under the hood Cmoar has a few nice features such as the integration of YouTube, and YouTube 3D playback. By having these as well as local media and PLEX capabilities it provides more video playbak choices for the user. The 3D is stunning on Cmoar’s big screen and looks better than most real life movie going experiences I have had to date. Cmoar also offers 180 and 360 playback for fully immersive video experiences. The only thing I found a bit lacking were the actual video playback controls which only seemed to offer a simple play, pause and scrolling option. The in theater menu interface however is very well crafted and easy to use. Finding your local files or web based YouTube content is very easy and intuitive using a gaze based cursor system combined with controller support for the Vive wands, Xbox One controller, Oculus remote or even a traditional keyboard and mouse. 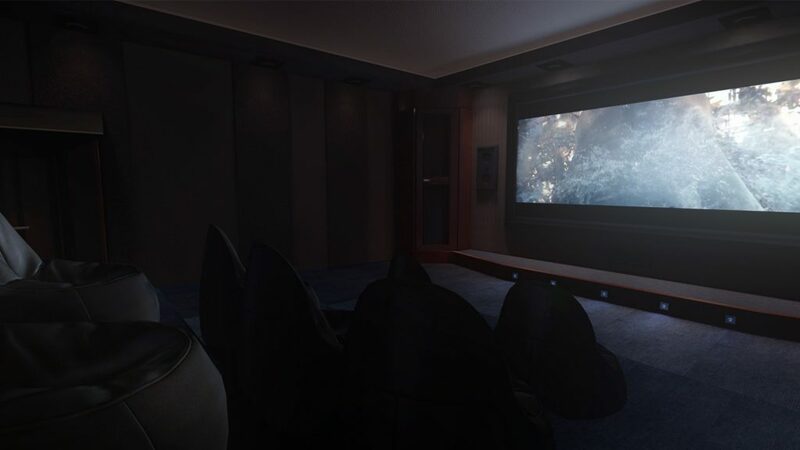 Now I know there are a lot of different ways to watch movies in VR, but unfortunately ever since I got my Oculus Rift CV1 I have found that most of the various theater apps or video players suffer horribly from the “God Ray” effect introduced by the rifts Fresnel lenses. With Cmoar however I was pleasantly surprised that in this app I could actually sit and enjoy watching a movie! I’m not saying that the God Rays are not present in it, but for some reason they seemed to be muted and not as distracting compared to other solutions I have tried. This reduction of the dreaded God Rays along with its ease of use has provided me with hours of cinema and video watching enjoyment thus far! The app sells for $10 on Steam so if your looking for another Theater/Video playback app to add to your library you might give this one a look.